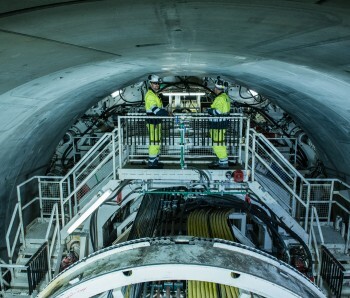 On 5th of September the first Tunnel Boring Machine (TBM) started boring after a ceremony where Prime Minister Erna Solberg baptised the machine and Minister of Transport and Communication, Ketil Solvik-Olsen, started it. 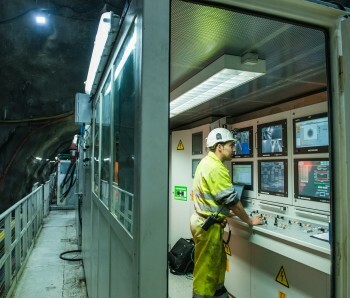 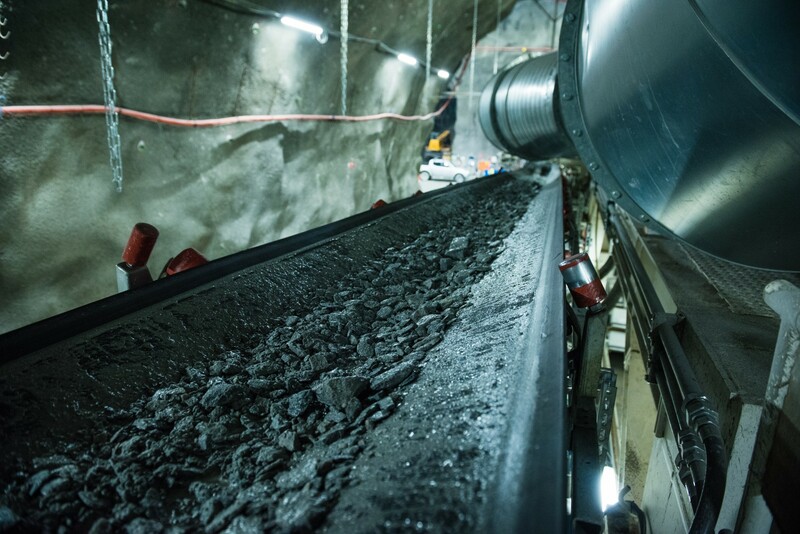 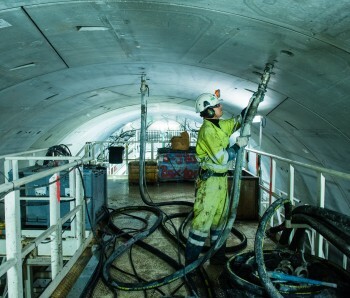 The machine, named Queen Eufemia, departed from the construction site at Åsland in Oslo, and is expected to bore and construct 9 kilometres of tunnel towards Oslo in roughly two years. 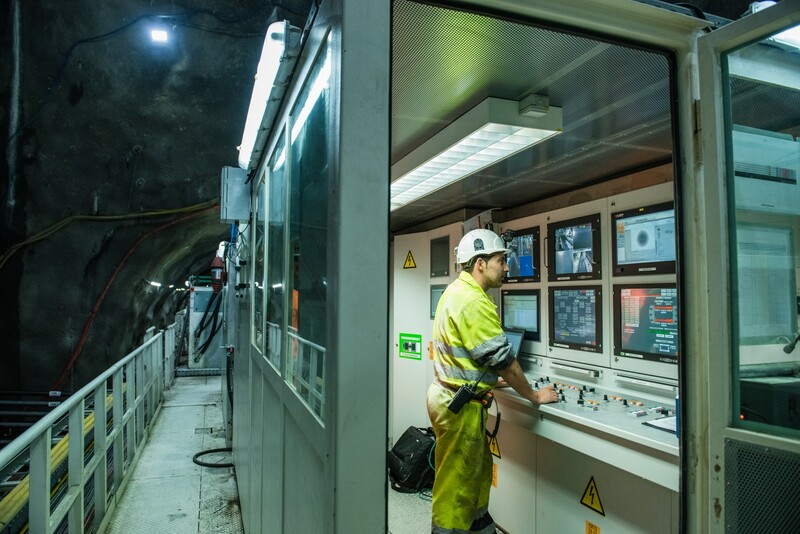 - We have made good progress so far, and I am happy to see that our machine, equipment and our people work well together. 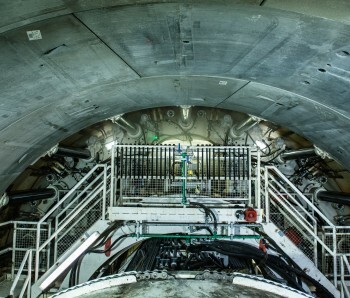 We are still in the start-up phase of the project, and we will use this initial period to fine tune our operations, and learn how to operate these machines, says Mr Fernando Vara, Project Director for Acciona Ghella Joint Venture, the company responsible for constructing most of the tunnel at the Follo Line Project. 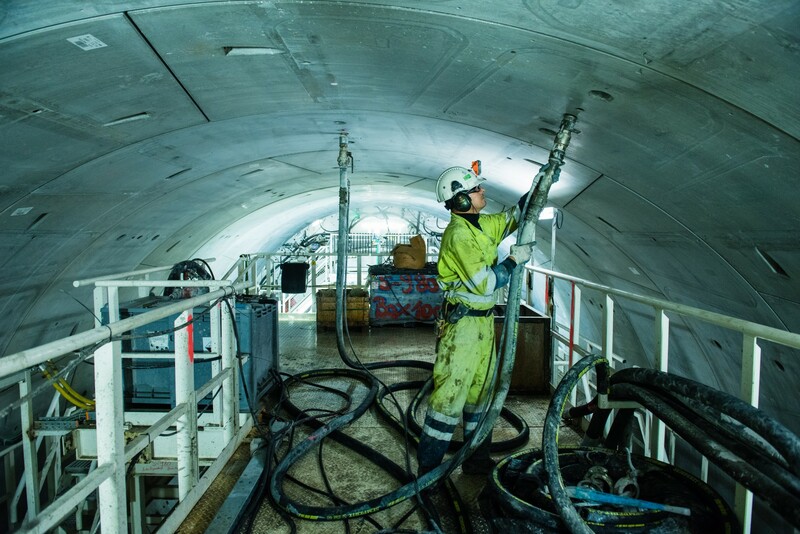 In total four similar machines will construct the main part of what will be the longest railway tunnel in the Scandinavian countries. 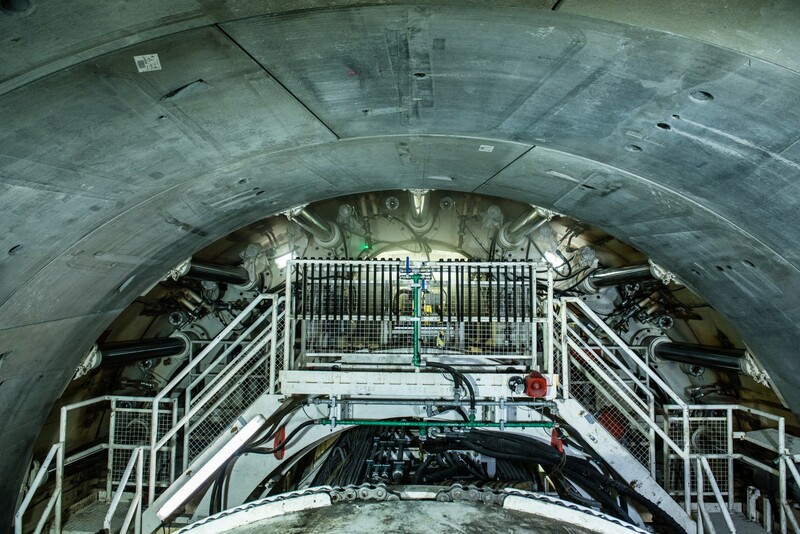 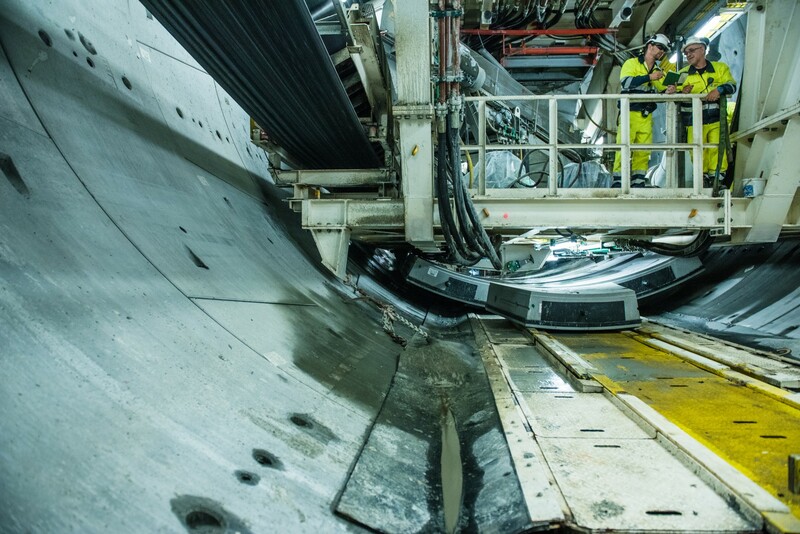 The second TBM, Queen Ellisiv, is planned to start boring towards Oslo in October, while the next two TBMs will start later this autumn and bore south, towards the town of Ski. 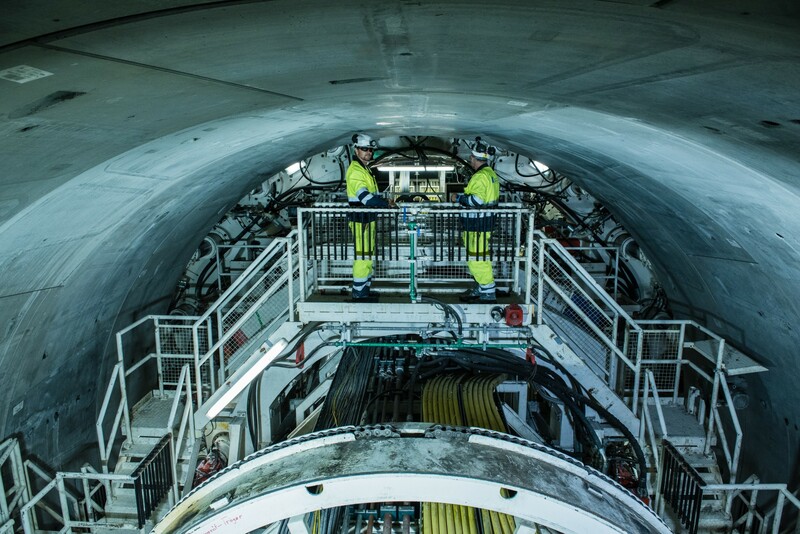 The Follo Line TBMs are specially designed and constructed to tunnel through hard Norwegian rock in the Ekeberg Hill. 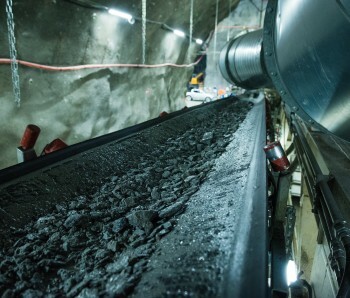 Each of the TBMs weighs about 2400 tonnes, and will construct roughly 9 kilometres tunnel along the new double-track line between Oslo and Ski. 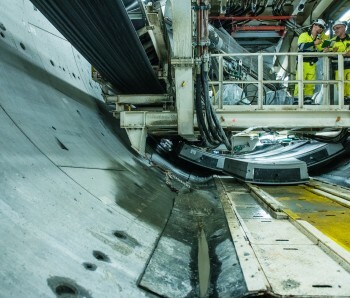 As the cutter head excavates the rock in front of the machine, the rear section of the TBM installs the concrete segments, creating the reinforced and watertight tunnel wall.